Of all reasons I've heard from people for why they don't cook, perhaps the the most common one is that they're a party of one. "It's just me," they'll say. "Why should I bother when there's no one else eating with me? I can get takeout delivered to my door, and not have to do any prep or wash any dishes." Or worse, they'll make the case for a microwaved frozen dinner. There is, of course, a litany of reasons why cooking for oneself is a good thing to do: it's healthier and more cost-effective than the aforementioned options; when you control what goes into your food, you control what goes into your body. 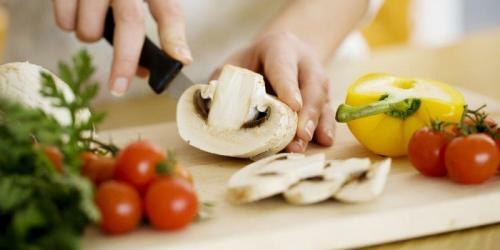 Fresh ingredients are not only healthier, but also usually cheaper than take-out or frozen meals. Those are valid points. But they're not the main reason I do it. For me, cooking for myself is one of the most deliciously indulgent, deeply satisfying pleasures available. It's "me time" in the best possible sense: I get to cook exactly what I feel like eating. I can season my food precisely to my liking. I get to take my time chopping, basting and roasting, not worrying about anyone else's schedule or level of hangry-ness. I can sip wine while I stir, and listen to whatever music I please. I can set a beautiful table and enjoy my dinner formally, or I can eat on the couch, while I watch Law & Order: SVU--it's totally up to me. After dinner, I can sit at the table and read for an hour, or, if I feel like it, I can abandon the dishes and go take a bath. Don't get me wrong, I love cooking for others. Most nights, I cook dinner for Evan, and it's my favorite part of the day. But, on the nights we don't eat together, I relish my time in the kitchen alone. The importance of the quality of my dinner doesn't diminish because I'm the only one eating it. I hope to have a family someday, and I hope to cook them incredible food every night. 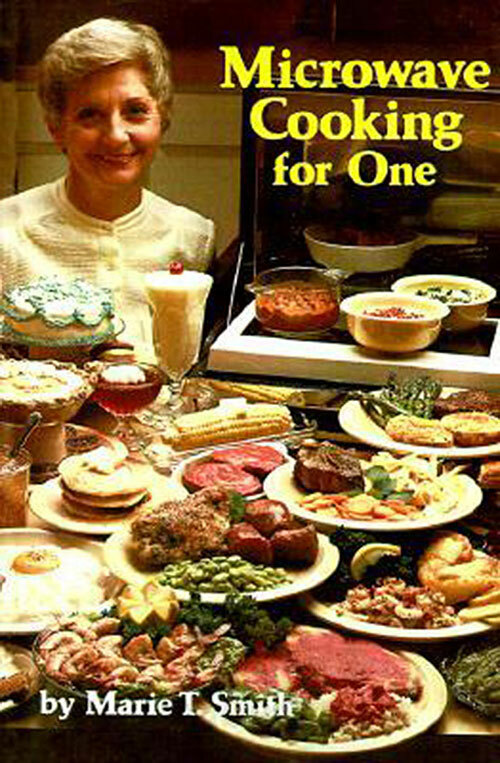 But I also hope that, occasionally, I'll find myself on my own for dinner. I'll pour myself a glass of Pinot, turn on some Smokey Robinson, and chop, stir, and nurture my body and soul with a special meal made just for me. I love this! I didn’t realize what a luxury this was until it became nearly obsolete. Enjoy! Oh man, I love cooking for just myself! It’s so nice to be able to make exactly what you want right at that moment, and to sit down to a plate of food that’s just for you. Yay! When my now-husband was deployed to Iraq and then to Afghanistan, I learned how very important it is to indulge in cooking good meals just for yourself. It helped keep me from feeling like I was just killing time until he came home—I felt like I was continuing to really live and enjoy myself. “Because I’m worth it” is reason enough to cook well for one when you’re alone. Besides, you can experiment with things you wouldn’t try out on company. That’s how recipes are born. I just recently moved out of my folk’s house (at 33 it was time… You can only justify a busy life, school, and working nights for so long), and this has been my biggest/hardest thing. I love to cook, but I know how to cook for an army not just me. And I hate leftovers. I’m having the hardest time trying to figure out how to do this and not have leftovers. And I can’t find any websites that give me how to cook for just me. I end up inviting a lot of people over and having dinner parties more than I’d like. It’s good to cook for ourselves or for the others which is our friends or family which is a great compliment or a good welcome for them to treat yours like this is good but this is not a punishment that we always cook for someone or for own it is not a deal. Completely appreciated! This one is a best practice site for me to grasp the bundle of information. I attend to abundance of mournful out there about this subject from so lots of single people who feel like cooking for one is miserable. It’s too easy to cook as well as fast! Thanks buddy for it. Well, I am not a good cook but I love cooking and I tried to make cuisine on Saturdays Sundays for my family. This website is the great for those who are interested to make delicious food. Convincible topic! Itan incomparable writing and the topic discussed with the delightful reading. Healthy guidance! I like to read this blog and try to make healthy recipes. Eating together as a family is more vital today than in the past in light of the fact that there are additionally contending diversions, more selections of exercises outside the home, and a consistent assault of data from current innovation. Metals are actually the natural component of the earth’s crust. Generally metals exist in their pure form e.g. lead or tin, or by proportional combination of metallic element with non-metallic element; e.g. sodium with oxygen forms sodium oxide. Metals (iron, sodium, potassium, selenium, magnesium, copper, calcium and zinc) are also required by the human body for the proper functioning and growth of the cellular processes. And I can’t find any websites that give me how to cook for just me. I end up inviting a lot of people over and having dinner parties more than I’d like. Eating together as a family is more fundamental today than in the past in light of the way that there are moreover battling preoccupations, more choices of activities outside the home, and a reliable attack of information from current development. At the point when my now-spouse was sent to Iraq and afterwards to Afghanistan, I figured out how critical it is to enjoy cooking great suppers only for yourself. This is a great blog post. I admire the content. As do my assignment uk expert, i really feel this blog is extraordinary. Awesome blog, thanks for posting. HP Printer Customer Support Number 1-800-234-6190. This is the simplest way to resolve the problem because experts in customer care are always available on the call. You can reach to experts 24×7 to amending the printer’s technical glitches. If you want to set AOL Desktop Gold as your default browser but don’t have an idea. The email Bellsouth provide various features for its users. Sometimes users of Bellsouth face trouble to log in their email account. contact bigpond support australia and get your problem resolved by our trained technicians. Suddenlink email provides amazing features for all users. Whenever users of this webmail stuck with email problem they can also reach to customer care for troubleshooting. Users can opt for Suddenlink customer support number 1-800-234-6190 which is 24/7 reachable. If you are a user of AOL desktop and want to install its new version. Go to the official site of AOL and Install AOL desktop gold. However, you failed to fix the problem ask the customer care experts to resolve your issues. Within short time duration, users can reach to trained technicians & get a solution. We provide Webroot Customer Service and provide best customer support 24/7. You can call Webroot Customer Service to any time help for webroot error, install, update, uninstall, remove, not working, etc. When are you unable to resolve the printer snags by yourself, why not to get help via the customer care team? You can ring the HP printer customer care number which is all time accessible so that you can get complete assistance for your printer snags. Superb work here. I see that you have done a lot so as to provide us with this outstanding blog. Thank you for sharing. I got through several recipes before I caught your last name! My sister was married to Gerald Viau. His brothers were Thomas, John Paul but I don’t remember the eldest brothers name. He had a sister named Janet. My sisters name is Janice. They were from Burlington, VT. I was just wondering if perhaps you were in some way related. Jerry and Janice have a son, Justin Paul Viau. Justin is a police dectective in Columbus, Ohio.